In our Petra Day tour we depart from Eilat Every Day. You get picked up from YOUR hotel and cross into Jordan with our help at the border. 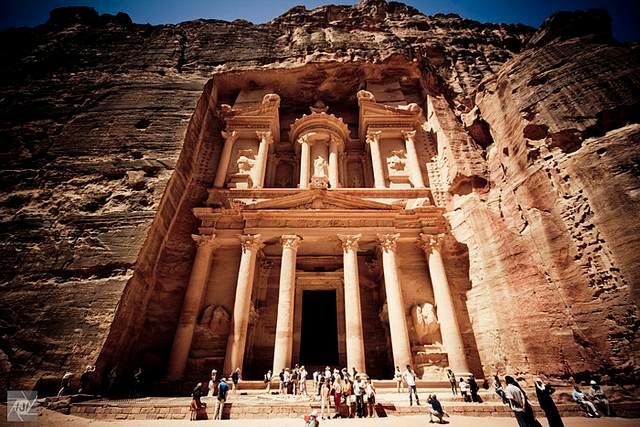 Once arriving in Petra, you'll get inside the historical site with our best guides. You'll have a fascinating guidance so you can travel back in time to really 'feel' how things were at that time. Then, after some free time inside the site and right before heading back, we'll take you to authentic local lunch to 'taste the culture'. Once you are back in Israel we drop you off back at YOUR hotel. Pick up from your accommodation and transfer from Eilat to Arava Border and crossing into Jordan with the help of our professional crew. Border passing includes: border control and customs. Transfer from the border to Petra in our newest model air-conditioned vehicles. 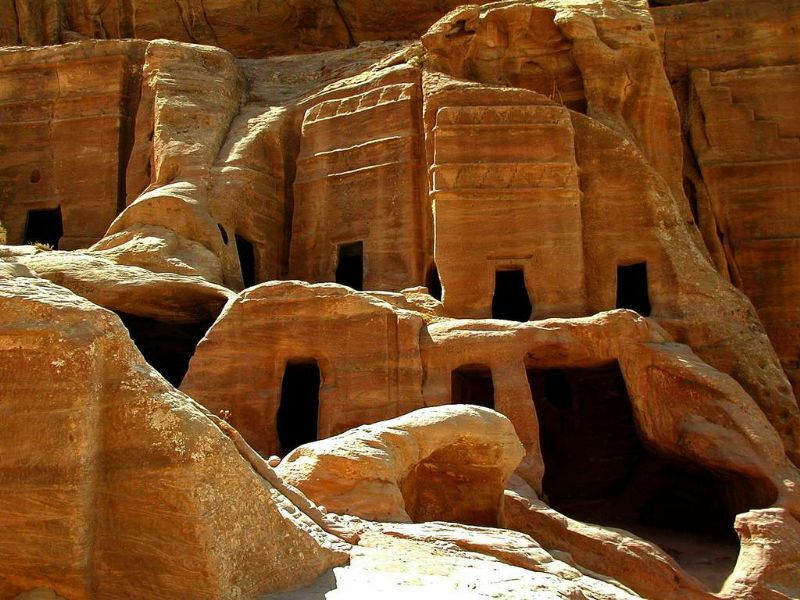 Transport takes approximately 2-3 hours, passing through a vast and comfortable highway (the "desert Highway"), following through a scenic route on the mountain side, and arriving at Petra's historical site, known as one of the Seven Wonders Of The World. The tour of Petra begins at the entrance to the site - fully guided tour of the lost city of Petra including the Siq, Obelisk Tomb, Calligraphy, Treasury and the Theater. Optional in your package is a horseback riding for the first 200 meters of the route. The ride allows you to taste the unique atmosphere of the place (tipping the carrier is required, ranging from $2-$5 at your discretion). We begin our return trip back towards Aqaba. This route includes a few stops along the way at certain observation points in order to give you the opportunity to enjoy the beautiful landscape that Wadi Rum has to offer. Arrival to the border and return to Israeli territory with the assistance of our crew. Transportation back to our primary destination in Eilat. Transfer from Eilat airport / hotels to Arava border with our professional team. Transportation in our newest model air-conditioned vehicles. Jordanian English-speaking tour guide in Petra. Short scenic tour of Aqaba. Return coach from the border to destination of departure. Change of vehicles is required for transfers of pick-up /drop-off to destinations to save time and avoid traffic and delay. * Water, snacks and Passport. 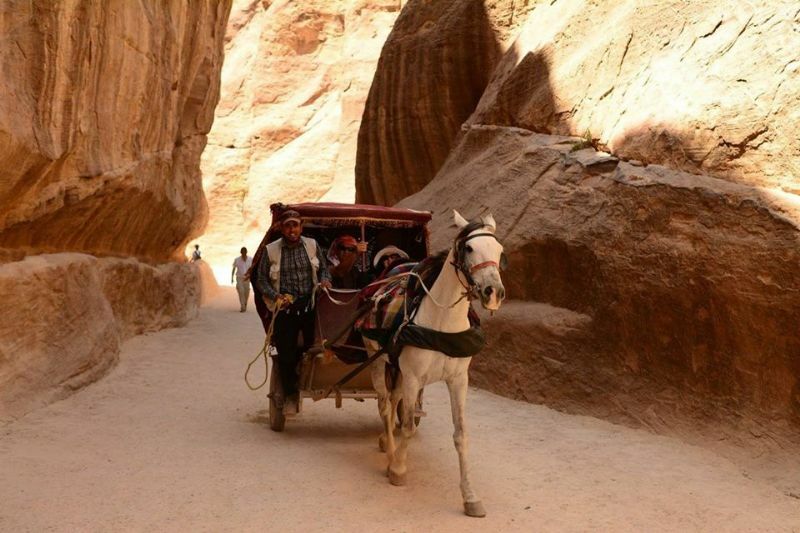 Riding on donkeys, horses, and carriages in Petra (available for an additional payment). Money should be given in CASH at the border crossing. Payment for the trip will be in cash, credit card, or wire transfer. Credit card and wire transfer payments must be made before the day of the tour. Payment by cash in dollars or New Israeli Shekels (at the high-rate) can be made on the day of the tour. If you decide to pay in credit card, then you will be charged in a commission rate of 2.8%. Angola, Benin, Botswana, Burkina Faso, Burundi, Central African Republic.